This Tossing games business for sale page is for manufacturers of tossing games that want to sell their business. 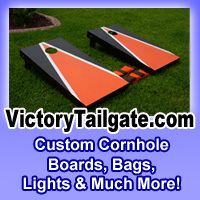 Business for sale can be for yard games, lawn games, tailgating games and outdoor games. This forum can also be used by tossing game inventors to reach out to manufacturers in manufacturing your game concept. new Make your tossing game company sound BIG! new Want your business listed here? new Humps Poker Throw looking for Mass Manufacturing! This is a current listing of businesses for sale.